Here is a collection of (mostly) electronic jams. 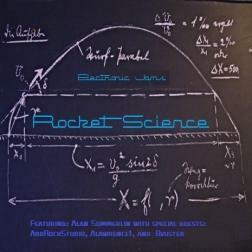 Some of them are space / science themed tracks, hence the album title 'Rocket science'. This genre may not be for everyone, but I hope you find at least something here enjoyable. Great album showcasing your talent, apsummerlin. Glad to be a part and keep up the great tunes/playing. Thanks for including me in this album. I love the arrangement, and find new inspiration to make more loops by listening.